GP Appoints New Glynn County Executive Director! The Gathering Place Board of Directors is pleased to announce the appointment of Jimmy Gunderman as the new Executive Director for The Gathering Place, Glynn County. Jimmy Gunderman has been on staff at The GP for over a year, excelling in his position as the Director of Discipleship and Programs. Now, staring on Monday, November 12th, he will begin his new role as Executive Director for the Glynn County GP office! His promotion to Executive Director brings in fresh leadership to GP Glynn County from his broad experience in ministry. Prior to joining The GP, Jimmy held several student ministry positions in churches. He also founded and sold a successful marketing business. 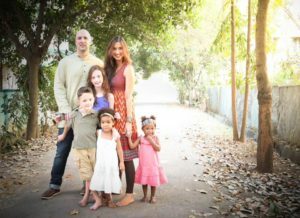 Most recently, he and his family served as full-time missionaries in India for several years. This change comes as a result of the growth and expansion of The GP into multiple locations. June 1st, 2018 marked a major milestone in the story of The GP: the launch of an office in Thomasville, GA, our first expansion site! Along with the new Glynn County Executive Director, The Gathering Place recently appointed its first President and CEO: Lucas Ramirez. With the expansion to multi-sites, each of which is locally funded, Ramirez will now provide leadership to both Executive Directors at each of The GP offices in his new role.